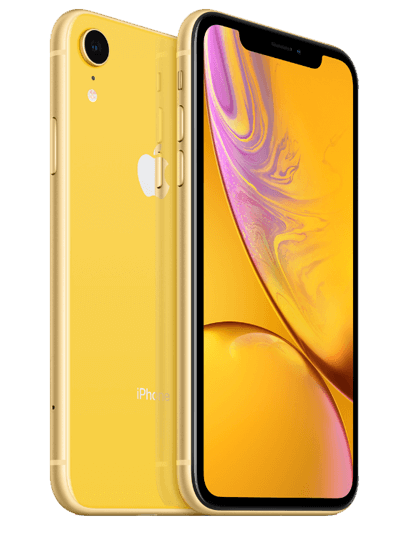 Coming soon, we'll be offering comprehensive protection for the brand-new iPhone XR at fantastic prices and have a dedicated and experienced in-house customer care team. Cracked Screen Cover– Apple’s 'liquid retina' edge-to-edge glass LCD display is worth protecting. Accidental Damage cover– we’ve got your iPhone XR covered if you drop or damage it. Apple have named their next more affordable flagship device, the iPhone XR. It's the cheaper and more colourful answer to the iPhone X, and possesses some of the X’s coveted features, without the hefty price tag. A predicted 6.1 inch display has an aluminium frame as opposed to stainless steel, and is LCD- unlike the iPhone XI, which has an OLED screen. With an edge-to-edge design, just like the iPhone X, accidental damage protection is vital. You'll be doing more on your smartphone than ever before, so you won’t want to be without it for long should disaster strike. While the iPhone XR has a starting price of £749 and is certainly more affordable, it’s by no means a budget phone. If you upgrade to the iPhone XR and it gets lost, stolen or damaged, you could be facing a high replacement or repair cost. 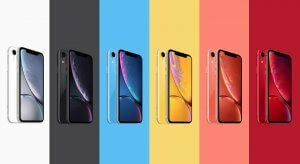 loveit coverit are creating cheap iPhone XR insurance plans, so you can protect your newest, treasured gadget. Your mind can be put at ease, safe in the knowledge that your iPhone XR is covered should the worst happen. We are constantly comparing our cover and pricing, so that our customers get the best iPhone XR insurance in the market, at a reasonable rate. Our cover for the iPhone XR is distinctive as it includes loss as standard and comes with unlimited claims. Accidents happen. But when they happen to your new iPhone XR, our comprehensive cover gives you peace of mind and financial reassurance. Nothing attracts water quite like high-tech gadgets. Protect your iPhone XR against liquid damage and we’ll get it repaired or replaced. Dropped or knocked your iPhone XR and the screen is cracked or not working properly? Don’t worry, we will get it repaired! We offer a replacement iPhone XR and cover for unauthorised calls when your device is taken from you. We can help you protect the accessories that allow you to enjoy your Apple device - like headphones, chargers and cases - if they get damaged or stolen. We’ll cover your iPhone XR if an electrical or mechanical fault occurs outside of its warranty period. 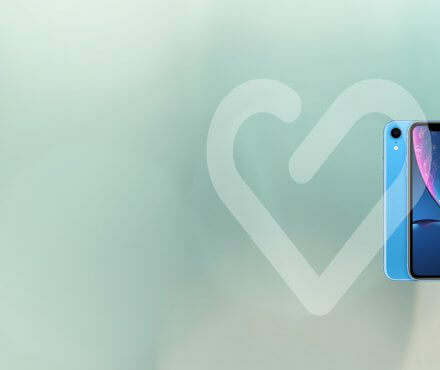 loveit coverit have provided insurance to every iPhone released to date. With 30 years in the industry, we know a thing or two about what Apple users want from their cover. As each new handset has launched, we’ve followed alongside providing comprehensive and affordable cover and this one is no exception. It’s clear why you would choose the iPhone XR as your smartphone of choice. With a never-ending list of daily uses, we understand how much iPhone users depend on their devices. That’s why it’s imperative to protect your new iPhone XR from damage, loss and theft, to save you the heavy cost of repair or replacement. Choosing to take out insurance with loveit coverit, means that you won’t be without your device for long as all of claims are handled in-house. We’ll always compare our iPhone XR insurance policies against others in the market, to make sure our cover offers everything our customers need, at an affordable rate. If you’re doing your iPhone XR insurance comparison online, always check your policy excess fees, as well as the details of what is actually included in your cover. loveit coverit are one of the few providers who include loss as standard. How does the iPhone XR compare to the X? The iPhone XR has a bigger screen than the X, at 6.1 inches, however it still has that all-screen design that the X did. It also has Face ID and a 12 mega pixel camera, however it’s single rather than dual. The XR comes in a variety of colours (blue, white, black, yellow, coral and red), which differs from the X as this was only available in space grey and silver. With dual SIM capability and the all-new A12 bionic chip, it’s larger and more efficient than the X. Predicted to be a popular device, the iPhone XR combines some of the coveted features and style of the iPhone X, without the hefty price tag! The starting price for the iPhone XR is £749 for the 64GB model. The 128GB model costs £799 and the 256GB model is £899. Does the iPhone XR have wireless charging? Yes. The iPhone XR is compatible with a range of wireless chargers including Aircharge, Belkin, and Aukey. Is the iPhone XR plastic or glass? While the iPhone XR is reminiscent of the iPhone 5C from 2014, it does not share the same plastic design as that model. Instead, the XR has a full glass back and a metal frame, making it feel more in-keeping with Apple’s modern design aesthetic. Why is the iPhone XR cheaper than other models? While it uses the same software as more advanced models, the XR does have some design changes which make it cheaper. This includes the single rear-facing camera, the LED display, and the reduced pixel density – it’s still a top-tier smartphone, just without some of the features that force the price up. iPhone XR: the most impressive 2018 iPhone? Tomorrow, the 26th October, is the official release of the iPhone XR and people will be getting their hands on this coveted new device. So far, we’ve seen the release of the iPhone XS and XS Max, but it’s the XR that’s received anticipation and attention. We’re looking at why the iPhone XR has been dubbed the most impressive iPhone released this year. Today, the 26th October, is the official release of the iPhone XR and people will be getting their hands on this coveted new device. So far, we’ve seen the release of the iPhone XS and XS Max, but it’s the XR that’s received anticipation and attention. We’re looking at why the iPhone XR has been dubbed the most impressive iPhone released this year. Perhaps the most impressive feature of the iPhone XR is its battery. Compared to the iPhone 8 plus, Apple claims you’ll get 90 minutes longer battery life and according to Techradar’s full review, it actually surpasses that, lasting all day. While we’ve seen this from other smartphones in the market, it’s a first for the iPhone, and it’s one of the biggest appeals over the XS. The XR looks and feels similar to the iPhone 8, with the biggest difference being the all-screen design and missing home button. Despite being thicker than the two other 2018 iPhones, the metal back and curved edges allow for a higher quality compared to its predecessors. One of the biggest factors contributing to its more affordable price point, is its LCD screen. While the XS and XS Max both come with OLED displays, this one comes with a slightly less sharp, lower res screen. This model comes in a wider variety of colours, including blue, coral, yellow, red, white and black, and is compatible for wireless charging. With a single-lens rear camera, this feature is not as impressive as others and particularly falls short in portrait mode. The lack of a second sensor means that the camera doesn’t have a strong bokeh effect or depth of field. While it holds its own when compared to other more affordable smartphones in the market, it doesn’t quite match its more expensive siblings. This one’s for you if you have an older model and you’re looking to upgrade. You’ll get a taste of the new iPhone experience, including even more battery life, in a wider choice of colours, for less!